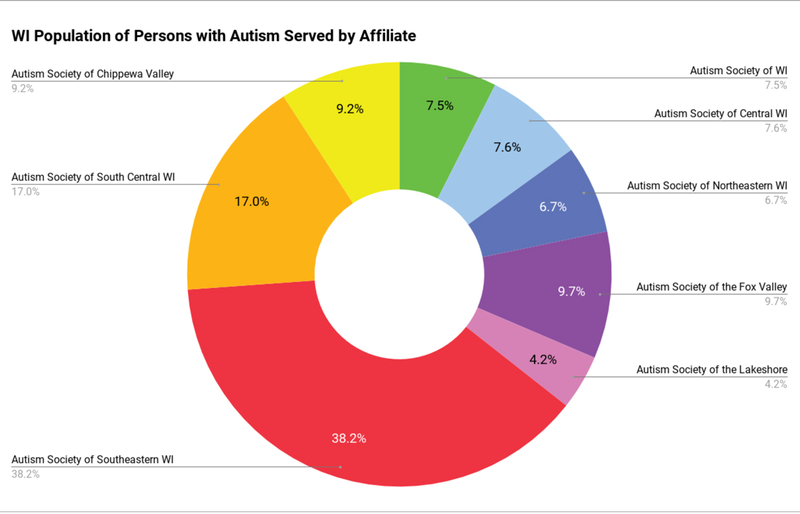 The Autism Society of Southeastern Wisconsin exists to improve the lives of all affected by autism. We do this by increasing public awareness about the day-to-day issues faced by people on the spectrum, advocating for appropriate services for individuals across the life span, and providing the latest information regarding treatment, education, research and advocacy. The Autism Society of Southeastern Wisconsin received our chapter status from the national Autism Society in 1976. 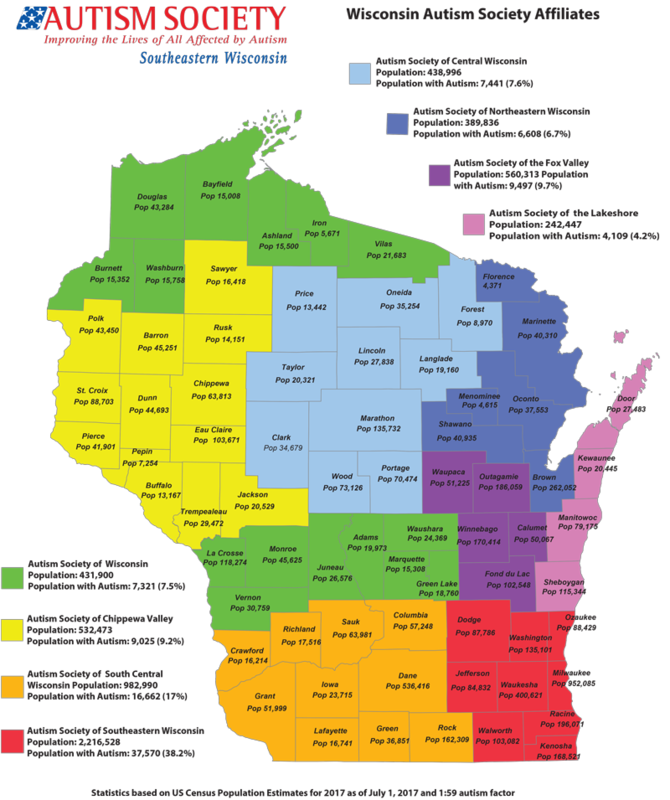 For over 40 years we have served as the primary Autism/Asperger Syndrome/PDD resource for Milwaukee, Waukesha, Racine, Kenosha, Dodge, Jefferson, Ozaukee, Walworth and Washington counties. We are a 501(c)(3) nonprofit organization, and your donations are tax deductible.